﻿ Why are original modules so expensive? With the development of optical communication industry, the demand for optical module is increasing rapidly. As we all know, the price of the original optical module is very high, and many users can only flinch from it. Therefore, many third party optical modules have appeared on the market. Some third party optical modules have good compatibility, and their performance is comparable to that of original optical module. And the price is much lower than original modules, It's the best choice for many users. So here comes the question - why is the original module so much more expensive than the third party module? 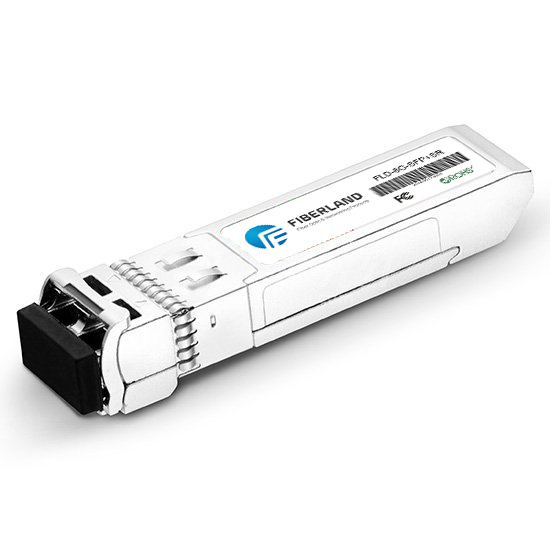 Take HUAWEI as an example, HUAWEI's original SFP-1.25G-LX10 gigabit optical transceiver costs more than 1000RMB, the same module, just take below 100RBM form Fiberland. Why is the price of the original module so high? Is such price disparity really because their quality is so different? In fact, not the case, probably due to the following aspects. Building a brand requires cost, but the influence of the brand is obvious.Such as CISCO, HUAWEI and other large equipment manufacturers, because they have their own unique brand advantage, known by the vast numbers of users, the price is not difficult to imagine. Even if the module quality is good, if no brand effect, the price will not be high. Famous network equipment manufacturers are not too many, the user's choice is so few, so the competition is not too intense, and the market is almost monopolized by them. Without fierce competition, the price will be very expensive. There are so many third party modules manufacturers, so the price will be much cheaper. Optical module is a relatively high-tech industrial product, can’t see in daily life. Many people are not familiar with its structure and quality, Only specialized technicians will have a better understanding of optical modules. Because the end-user know lees about the optical module, they will think only CISCO, HUAWEI, H3C modules are reliable, think the quality is not good for cheap price, so they prefer high priced original modules. In fact, for many users, the third party optical module is a better choice. The compatibility selectivity of the third party module is more abundant than the original one, warranty is longer and cost-effective, can save you a lot of cost.